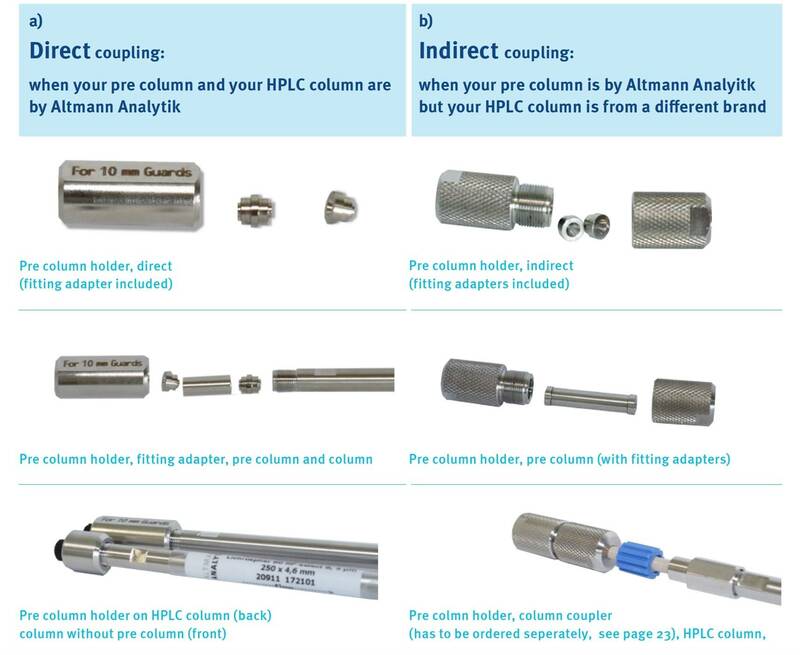 Separating columns with modern solid phases are critical components of HPLC analysis. It is important to protect these valuable ingredients from contamination to ensure optimal and consistent separation. In order to prolong the "life" of your HPLC columns, it is advisable to use precolumns. 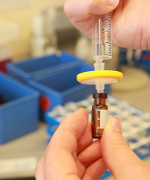 Precolumns offer the advantage in HPLC that they also retain molecules which would form an irreversible bond with the column material. The precolumns should be exchanged regularly. 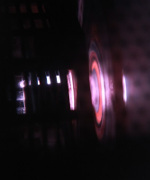 A good indication of the time of the exchange is a gradual increase in the back pressure: For more information, see the care and maintenance of HPLC columns. We carry a wide range of solid phase and stainless steel cartridges for HPLC and UHPLC from the best manufacturers. It makes sense to ensure consistent resolution in reverse-phase (RP) chromatography by removing non-polar contaminants, particularly in diagnostics applications and food analysis. With our large selection of stainless steel guard columns and stationary phases, we can meet your needs for HPLC hardware and consumables. Whenever consistent resolution and reproducibility are required, e.g. in samples from biological matrices, our customers can select from a wide variety of bonded solid phases. From food analysis to forensic toxicology, the routine for every chromatographic method is to use column guards to protect your investment and to ensure consistent operations at only a fraction of the cost for a new HPLC or UHPLC column. 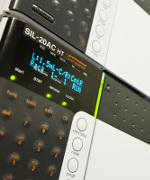 We offer all trusted brands, such as Agilent Technologies, Chiral, Grace, Macherey Nagel and Sielc. As a cost-effective alternative, we carry a large selection of our own high quality brand Altmann Analytik.